Celebrations abound this week at Sussex Ice Cream HQ having just been awarded a total of 10 stars at this years Great Taste Awards 2015! This is the first-time we have entered and have come through the gruelling process with a grand total of 10 stars over 6 ice creams and sorbets. We are also the first official ice cream company in Sussex to have achieved three golden stars for one of our ice creams. Great Taste is widely acknowledged as the most respected food accreditation scheme for artisan and speciality food producers, and so a Great Taste star is not only a badge of honour for us as producers, but more importantly, a signpost to a truly exceptional product. There were 10,000 Great Taste entries this year and of those products, a mere 130 have been awarded 3-stars. We decided 2015 would be the perfect year to enter the awards to celebrate the success of our new business and to demonstrate our confidence in the quality of our ice creams and sorbets. Now in our second year of artisan SALSA accreditation, our ice creams and sorbets are served in various eateries and retail shops across the South Coast. We are also looking forward to working with the Southern Co-Operative where our ice creams will be available on selective shelves soon. Any food that a judging team believes worthy of a Great Taste star is judged by at least two further teams. Only when there is a consensus will an award be given – that means at least 16 judges will have tasted every accredited product. For a Great Taste 3-star award, every single judge attending the session, which can be as many as 40 experts, must unanimously agree the food delivers that indescribable ‘wow’ factor. A gruelling procedure but we’re pleased to say our Raspberry Sorbet did us proud! The Great Taste symbol is the Fine Foods Guilds guarantee a product has been through a rigorous and independent judging process. It’s not about smart packaging or clever marketing – it’s all about taste. Find out where to find us by clicking here! 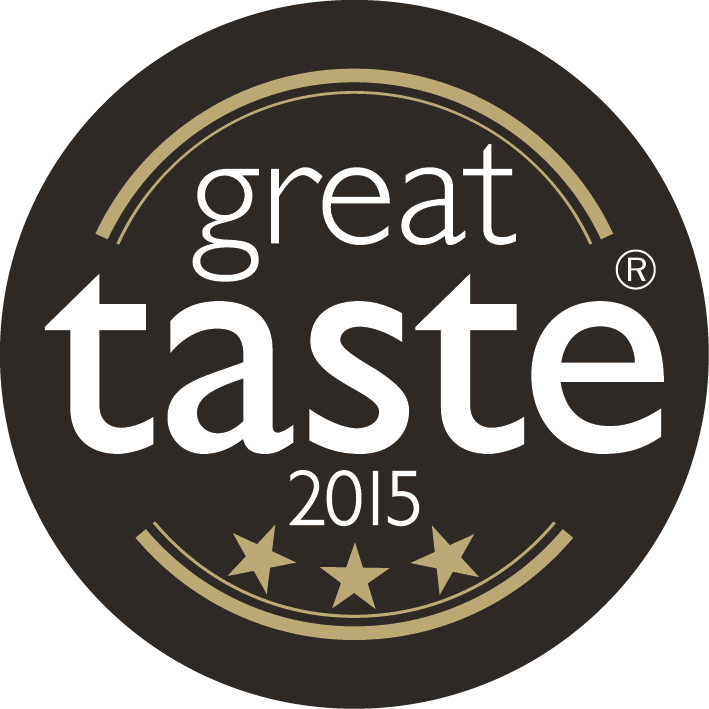 Sussex Ice Creams will carry their gold and black Great Taste stars with pride. This entry was posted on Friday, August 7th, 2015 at 1:41 pm by SICC and is filed under News & Events.